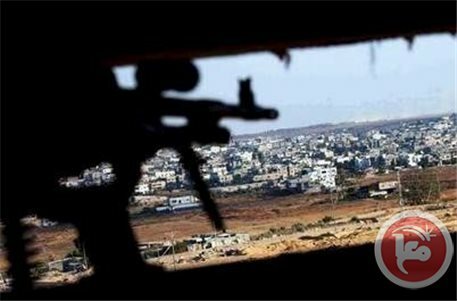 A Palestinian teenager was shot by Israeli forces in the Hajar al-Deek area near the border in the northern central Gaza Strip on Thursday evening. Spokesman for the Ministry of Health Ashraf al-Qidra told Ma'an that an unnamed 17-year-old was shot in the foot while he was collecting gravel near the border. He was taken to Shifa hospital with moderate injuries, al-Qidra added. An Israeli military spokeswoman said that Israeli forces had fired "warning shots in the air" in the area, which is just east of El-Bureij refugee camp. Many people in the besieged coastal enclave collect small stones in order to make gravel for concrete, because the import of concrete is forbidden by the Israeli economic blockade. The blockade has been in force since 2007.